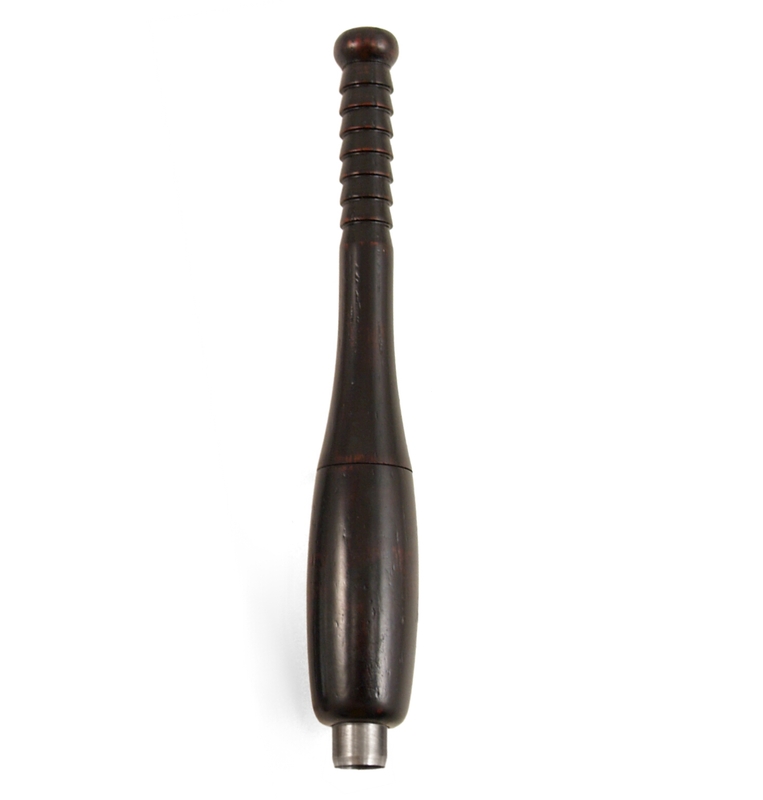 The perfect cigar accessory for any baseball fan, this supremely functional and fun punch style cutter is uniquely shaped to resemble a baseball bat. Punch blade is completely concealed when not in use for added safety and visual appeal but is simple to operate when its time to smoke your cigar. Twist action exposes the blade so you can make a cut, then twist again to retract the blade and eject the cigar plug. The punch cigar cutter design allows you to make a perfect incision in the head of your cigar every time making for a smoother, more even flow of smoke without destroying the cigar cap. As an added bonus, punch style cutters accommodate cigars of any size!